The Honduras capital's soccer team "Olympia" has not been able to collect payments from their sponsors. Tegucigalpa, Honduras – Just prior to the start of the new Honduras National Soccer League season, the capital’s team, “Olimpia” gets bad news. They have confirmed that the Executive Directorate of Revenue (DEI) has blocked the soccer club’s “tax id” “RTN” for non-payment of some taxes. Crippled by the action taken by the Honduras Tax Authority “DEI” by blocking their tax identification number. 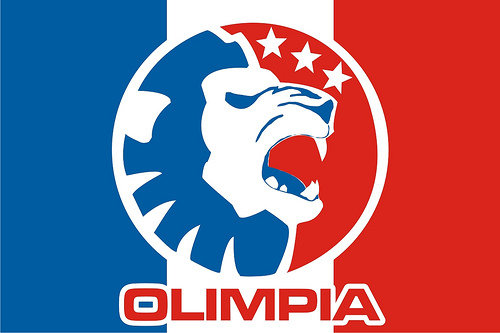 “Olimpia is the only team not able to collect sponsorships for all of last year because we have had our RTN blocked, even though we have paid taxes since 2002. So, it is very difficult for the club, and we must try to solve this issue through the FENAFUTH national federation of Honduras soccer, and see if it is possible for a team member to receive help in order to resolve the DEI situation,” stated Osman Madrid team vice-president. Olimpia vice-president, Osman Madrid, has attempted to resolve this situation with the help of the authorities of the National League, but had no answer to his pleas for assistance. “We expressed the other day, but we feel that neither the President nor any of the leaders are interested in the order of Olimpia and stuff, we have tried to resolve this situation because the club needs its RTN in order to function,” he stated. According to the Vice President of Olimpia, this is for the debts that remain from before 2002. “Because there is a debt from 2002 and back, after a meeting we had with Mario Duarte, during the time of President Ricardo Maduro, Olimpia began to collect and pay all of our taxes, it was then that we became indebted to the DEI, along with all of the interest and fines. The team does not have the resources to pay such an enormous amount of money; I don’t want to divulge the amount as I wish to discuss it with the president first. Our RTN is something invaluable for the club and having it blocked means we cannot collect money,” stated Madrid. “We are very concerned about this situation because we can not solve any of the team’s problems and cannot collect sponsorships; the club cannot pay our players or suppliers,” stated Osman Madrid. “Olimpia is looking for a solution to the issue so we can have income from our sponsors. We’re talking to some lawyers, putting some resources together, but what we want is that the problem is fixed. We do not want to stop paying, that is not the issue, but we can not pay the enormous amounts of interest and penalties because it is not within the teams’ means,” he stated. “The clubs livelihood is at stake because there are people who put money into the club and we are paying monthly amounts that are not 20,000, 100,000, 200,000, or half a million lempiras, there are millions of lempiras that are being paid each month, so it is not easy, this is a major concern which we will address with the board during meetings in January”. Osman Madrid believes that if the DEI did this with them, the law should be applied equally to all the other teams in the National League. “Charge everyone equally, since all the other teams have not paid their debts from back in 2002. So there should be a review of the other teams books because Olimipia has paid millions to the Treasury since 2002. The DEI should review everything and charge us appropriately, but without interest and penalties because this was not our intention, because back then none of the teams had made these payments.